Ah that old chestnut... sorry! My car currently has NA wheels that was power coated black by the previous owner - they're still in a perfect condition, pretty much as new. They have the OEM tyres on all in excellent condition with plenty of tread. I much prefer silver Turbo rims, so I've brought some in excellent condition - they have the standard tyres on, but they're all trashed as I was told by the seller and need to be replaced. My original plan was to move over the existing tyres to the new rims, fit them, and sell off the black NA rims. However, I've been thinking about tracking the car - looking at past discussions, it seems that the Bridgestones aren't great track tyres? Should I be using different wheels for track/road? Would I get much money for the black NA rims? Or should I just stay with my original plan? The RE040s are out of production but some tyre stockists still sell them, at a very high price. Hankooks V12 evo2s are available for 4 for £300 or less. If I should get track wheels, which tyre? I'm not a serious track driver, just someone who wants to have some fun. I expect to do 2 or 3 track days a year, and take the car out on the road more or less once a week. Edited by Eddles, 17 January 2019 - 11:14 PM. Many many discussions on here and other forums. Yes, I've been looking at the forum history and have been reading all the discussion, but I'm nowhere closer to an understanding! 1) So is the 888s worth it for the occasional track day? I presume I should keep the black NA wheels for track days? 2) The 888s aren't available for the front wheels, just the rear (no 195/45/17s), what do you use for the fronts instead? 3) I can't find the 888s in 225/45/17 for sale anywhere - other sizes are available. 4) Daft question, but I presume you put the track wheels on the car, then drive to the track? What if you get a flat/worn tyre? Have you driven on track before? Road tyres are more progressive so are better for learning on. If you’re relatively new to track days and just want to have some fun then normal tyres will be fine. Just get a good summer road tyre, preferably with a relatively stiff sidewall, and get on track. The extra grip from track focussed tyres will start to expose other weaker elements like suspension and brakes so start on road tyres and go from there.. everything you do to make it better on track will make it worse on road and the right balance is different for each of us. There’s plenty of threads on prep for first track day on here and across the internet but make sure you’ve got good quality fresh brake fluid (replace at least every 12 months), check brake pads and discs, search for toe links on here and consider getting the geometry checked/set up. Never been on the track before, and the VX220 is the first RWD car I've driven, so I'm pretty much a total novice. So you suggest just using the turbo wheels and the OEM Bridgestones, and sell the black NA rims? Pick a nice track for your first one nothing too technical, use road tyres as above and don't do more than 20 minute stints on track. Take it easy your not racing but have fun above all, if you go with lotus on track its very gentlemanly and everyone will give you room to drive. Book instruction and make sure you receive that early in the day by emailing them in advance. When you go on track you will be putting some stress on your car, even with road tires. 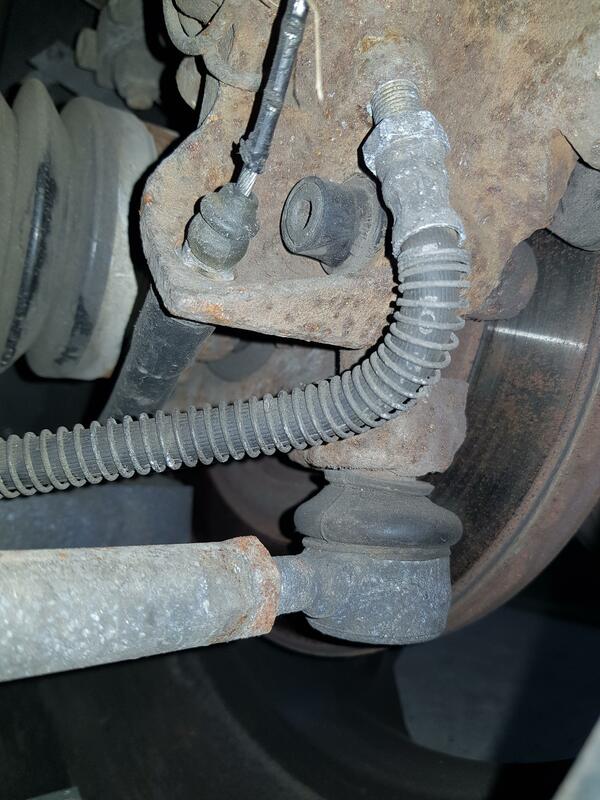 It is strongly advised to besides having fresh brake fluid and decent brake pads, to have your toe links checked, and if needed replaced. Even if just for peace of mind. If these are still the original from factory, they could potentially be a safety hazard now that these cars are up to 17 years old. Here is a sample of an (enforced) replacement kit. I believe the oem's are no longer for sale with Vauxhall. If you should ever switch to typical trackday sticky tires, the stress on the toe link is even more, and by then an enforced one is practically mandatory. 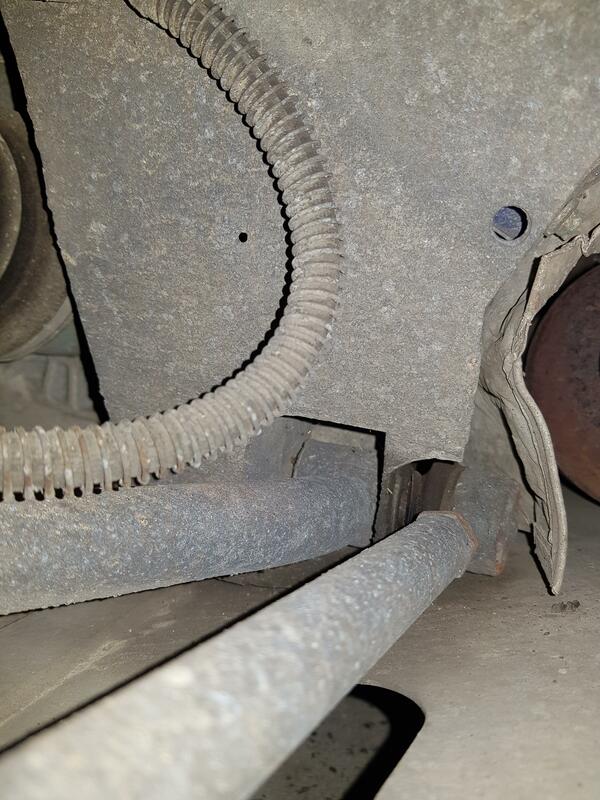 With sticky tires, the stress will also go towards the upper side of the rear wheel, which is connected with 2 upright bolts to the chassis. These can then stretch, and break. There is also an uprated version of those. Edited by smiley, 18 January 2019 - 10:54 AM. I fitted Nankang NS-2Rs and I have been very happy with them. They do offer a suitable 195, but I found it time consuming to fit due to the sidewall stiffness. It will be a long time before I wear them out though, so thats a minor issue. I generally take the car out in the dry, but I am happy with the water clearance on wet roads and motorway when i've been caught out. Edited by blackoctagon, 18 January 2019 - 04:57 PM. * Keep the original Bridgestone tyres and use them on track - for now. * Sell the black rims. * Check brake pads and replace if needed. * Check toe links - how do I check them? I've already booked to go to the national day in Bedford, and I'm looking to buy an all-day tuition again at Bedford before the national. Edited by Eddles, 18 January 2019 - 06:03 PM. The default setup for tracked VXs for as long as I can remember is to go for the Team Dynamics Pro Race 1.2 wheels (often just referred to as td1.2). They also suit the car quite well and come in a number of colour options. Usually owners stick on 16" front, 17" rear, sometimes 17" on the front. This then opens up a bunch of semi-slick tyre options, the popular choices are Toyo R888Rs, Avon ZZRs, Federal RSRs etc; all are proven performers. 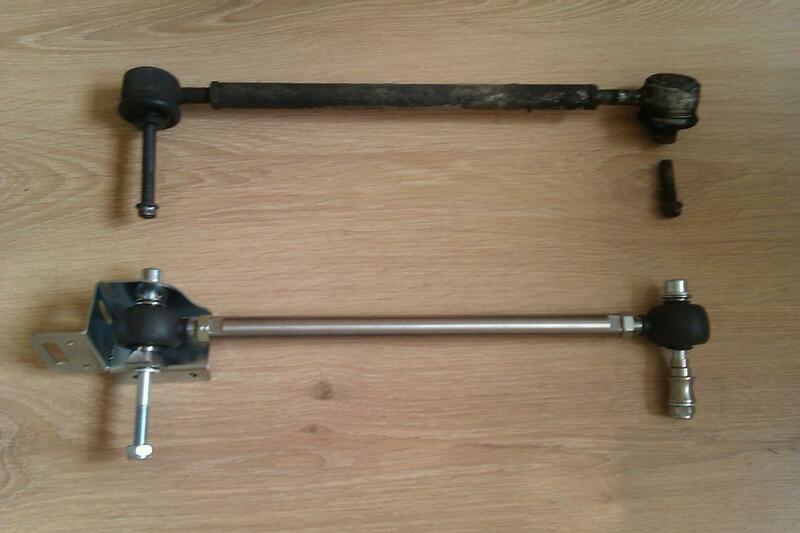 Typically tracked VXs are upgraded with a stiffer anti roll bar and/or coilover suspension. Captain Vimes has already given some good advice. Personally I would just get out there on a decent summer tyre on your current wheels and see how you get on. You can start considering some of the above if you don't like some aspects of the way the car feels and want to spend a few quid. As a minimum get the brake fluid flushed, hub carrier bolts upgraded and toe links checked. You will definitely get pad fade eventually on standard road pads! Blimey, a shopping list of jobs now! So I've been curious and have read up how the VX220 suspension is laid out, I've taken pics of the toe links and I have no clue whether they're OK or not, hoping you guys can advise please... For reference, the car is 15 years old with 22k miles on the clock. For toe links, there’s not much you can do by way of checking them. If they’re the original items then I’d suggest you replace them with uprated ones like those linked above regardless of what they look like. Tyres... check the age of the Bridgestone’s. They really don’t wear very quickly and vx’s don’t do many miles so they’re often old and cracked even though there’s plenty of tread. If they’re more than 5 years old I’d bin them and get something else. They don’t need to be a top of the range brand, Hankooks, Kumho or similar will be good enough. OK fair enough. Good point re: tyres - I've just had a look, and the front ones are old! One is from 2009 and the other from 2010 - even though they have plenty of tread and has no cracking at all... the rear ones are dated April 2017 so that's plenty of life in them. 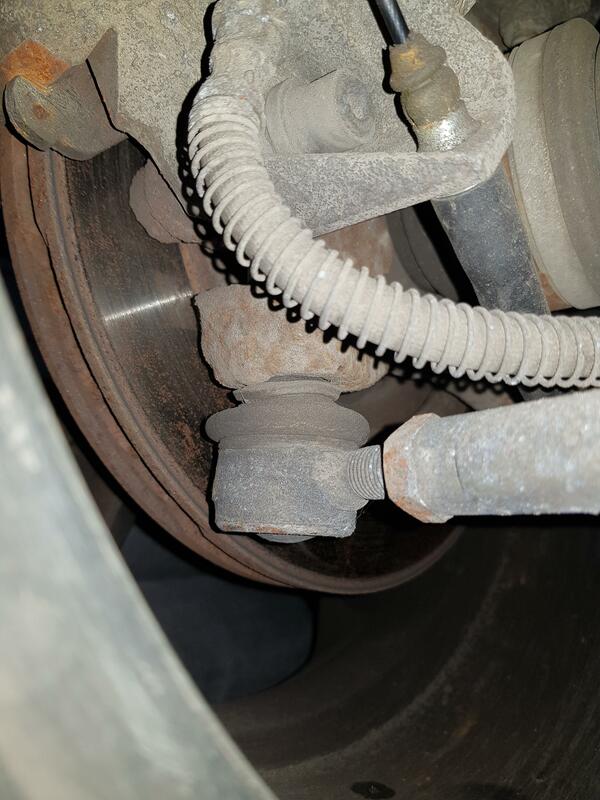 Brake pads are Mintex, installed mid 2017 - car has only done a couple hundred miles since. Discs look as if they're from the factory. * Replace front tyres for 205/45/17 Continental PremiumContact 6 - seems well reviewed? I like good quality tyres on cars. * Replace toe links - with which ones? Spitfire or VX220parts.com? Someone else? Also, I presume I've got the parallel toe links? * Gearbox breather mod - from Courtenay Autosport? * Hub carrier bolts replace - is it those? Edited by Eddles, 19 January 2019 - 12:43 AM. Would have thought 205's on the front are way to big for that narrow rim. And would possibly rub? Spitfire toelinks are beautifuly engineered. He also sells HCB with the kit. A key thing with replacing toe links +HCBs is that they are torqued up correctly, bear that in mind if you hand your car over to a garage and the mechcanic pays no attention to the matter and simply guesses. The best : replace with spitfire - http://www.spitfiree...nk-kit-general/ contact Gaz for advice on the correct part for your car - http://www.spitfiree...ing.com/contact or Gary Suffling on Facebook. Failures have been seen on the Eliseparts/VX220parts kit but these are most likely down to incorrect fitment or maintenance as others have raced competitively on them with no issues. Personally I would be getting a local specialist to fit these as they are a safety critical item. That would do the job but its overkill. Most people just make one with a length of pipe and a jubilee clip. Its really just to stop hot oil spewing out of the venting port onto the wheel. Mine is similar to the one in the pic but sealed off at the top except for a pin prick to prevent a vacuum. Its never vented from the top in over 30 trackdays. Also spitfire can supply - http://www.spitfiree...ing.com/contact or Gary Suffling on Facebook. The neat solution is an inline toggle switch under the bonnet but the same effect can be achieved by disconnecting the drivers side front hub sensor and tieing it out of the way. If toe links snap, it is usually in the sub section, which cannot be seen in your pictures. They will have to be removed for inspection. But to be honest, i would replace them regardless. The snapping has also been seen on regular road driving, hence all the attention in this topic. Sample of a snapped one, and an aftermarket toe link. Edited by smiley, 19 January 2019 - 11:52 AM. I think you might be just up the road from me if you want to drive mine? Thanks all for fantastic advice! Will go for the Spitfire kit then. aquilaproejct - I did feel 205 was way too big especially for a 5.5" rim, but looking at the billions of posts about tyres in forum search, it seems that a lot of other people use this size? There's very little selection for 195/45/17? I'd personally prefer 195 tyres. I think the Goodyear Eagle F1 Asymmetric 3 are the best tyres, but they don't do 195/45/17 unlike the previous model, the GSD3. Nevertheless, I will definitely go for the 195 tyres, but I'm currently split between the SportContact 5 and the K120 Ventus V12 Evo 2 (God, what a mouthful!). jules_s - the OEM Turbo wheels are the only ones I actually like, visually. I will go for the TD 16/17 wheels in the future, but they'd be only for track use, so I'd put semi slicks on those and keep the Turbo wheels with road tyres for normal use. It'd be awesome to meet up one day! 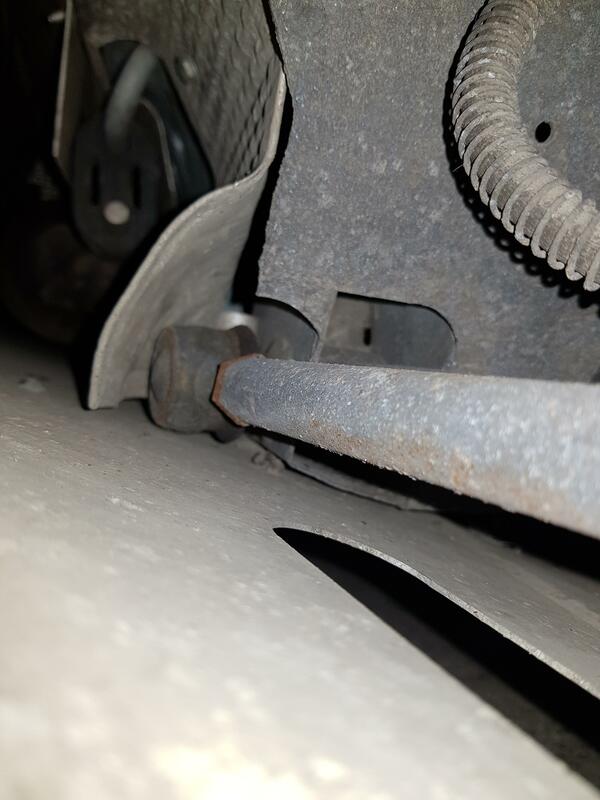 WrightStuff - I was actually planning on fitting the toe links myself, I've got a torque wrench itching to be used, and then go direct to the nearest VX220 specialist for a geo, but you saying that I should be using a garage to fit them is making me nervous... I'm not sure now! Shirley they can't be that hard to fit...? Or am I just fooling myself?